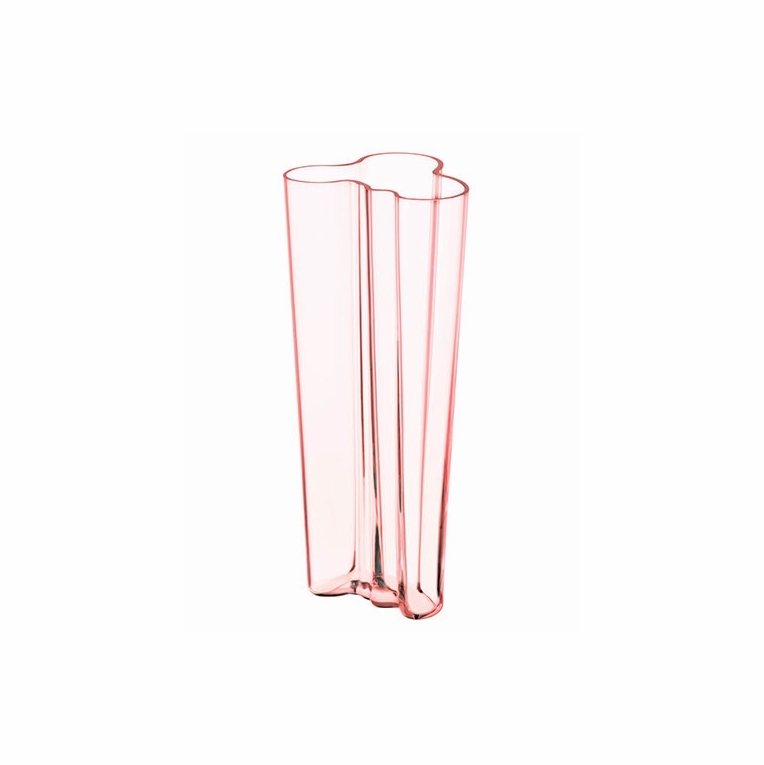 The leanest of the iittala vases, the iittala Aalto 10" Kapea Salmon Pink Vase features flawless mouth-blown glass that is tinted pale pink. The curving shape of these vases was inspired by the Finnish coastline. Taken by beauty of the water and the beach, designer Alvar Aalto created the Aalto vase to capture the relationship between the liquid and the solid. Once complete, he took his design to the Paris World Fair and where it gained considerable notoriety for its innovative shape and precise craftsmanship. A new colorway for 2013, the gentle salmon color highlights the curves of the glass without obscuring its unique silhouette.The Story of a Classic.